The Buddhist Study Group will meet every other Monday at 7:00 pm at the Spring Street Gallery. The meeting dates for March are the 10th and 24th. On March 10 they will be reviewing Sections 4 and 5 in How to meditate: A Practical Guide to Making Friends with Your Mind, by Pema Chodron. For more information or to join the group, contact Dave DaveLindbe@gmail.com. We will meet every other Monday at 7:00 pm at the Spring Street Gallery. The meeting dates for February are the 10th and 24th discussing How to Meditate: A Practical Guide to Making Friends with Your Mind, by Pema Chodron. Join local psychotherapist, Marchele McCarthy, for a 4-week discussion group of Pema Chodron's new book, “Taking the Leap” Every Wednesday beginning August 29th from 6:30-8 pm Call 970-879-6830 to register & reserve your copy of the book Chodron shows us how to break free of destructive patterns in our lives and experience a new sense of freedom and happiness. “Taking the Leap” gives us insights and practices we can immediately put to use in our everyday lives. Engage in interactive and thought-provoking discussions in this informal group that is free and open to everyone. About Marchele: Marchele McCarthy, MA, is a Nationally Certified Counselor and holds a Master's degree in Clinical Counseling from the University of Northern Colorado. She is currently in private practice working with individuals, couples and groups and a wide range of issues including relationships, anxiety, depression, stress, career, loss, and more. Join local psychotherapist, Marchele McCarthy, for a 4-week discussion group of Pema Chodron's new book, “Taking the Leap”Every Wednesday beginning August 29th from 6:30-8 pmCall 970-879-6830 to register & reserve your copy of the book Chodron shows us how to break free of destructive patterns in our lives and experience a new sense of freedom and happiness. “Taking the Leap” gives us insights and practices we can immediately put to use in our everyday lives. Engage in interactive and thought-provoking discussions in this informal group that is free and open to everyone. About Marchele:Marchele McCarthy, MA, is a Nationally Certified Counselor and holds a Master's degree in Clinical Counseling from the University of Northern Colorado. She is currently in private practice working with individuals, couples and groups and a wide range of issues including relationships, anxiety, depression, stress, career, loss, and more. Pema Chödrön, Smile at Fear. Pema Chödrön is currently considered a "single author." If one or more works are by a distinct, homonymous authors, go ahead and split the author. 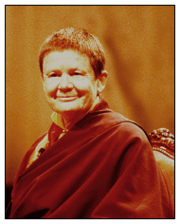 Pema Chödrön is composed of 14 names. You can examine and separate out names.